Count Basie Theater, Red Bank, New Jersey, U.S.A.
ARW is the newest configuration of musicians roaming America – and soon Europe – playing the music of YES. What sets them apart is their legitimate claim to the YES name. 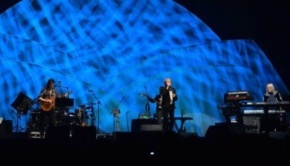 Jon Anderson, Trevor Rabin and Rick Wakeman have assembled to bring us “An Evening of YES Music & More” live. 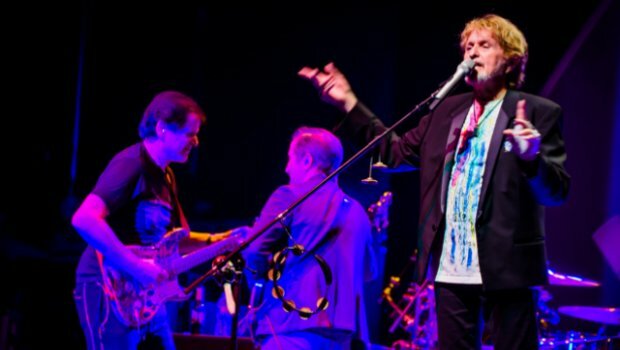 Unlike the other touring band that goes by the name YES, ARW presents YES’ founder and most influential writer and vocalist in Jon Anderson and perhaps the greatest keyboard player in Prog, Rick Wakeman. 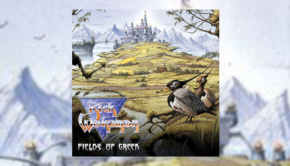 Joining forces with latter day YES guitarist Trevor Rabin they showcase the many sides of this greatly heralded band. 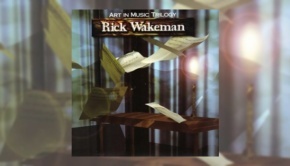 The evening began with staccato organ from Rick Wakeman introducing Perpetual Change, a driving piece that musically signals the return of a triumphant army after battle. Watching these elder statesmen of rock perform it reassured me that they did indeed win the war, still performing the timeless music that they and their audience cherish. 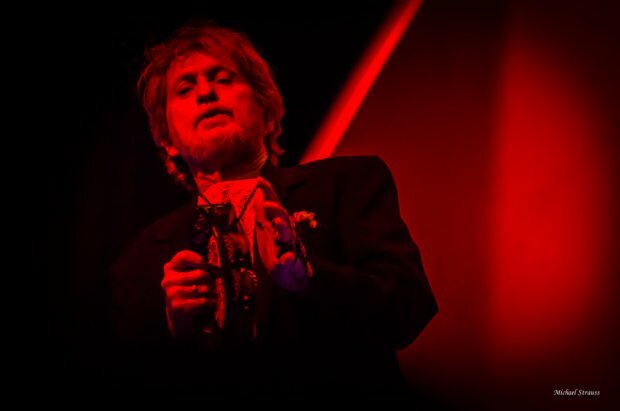 Most importantly, they have silently announced that Jon Anderson has reclaimed his rightful position as the singer of the songs he helped to create with the other members of YES. 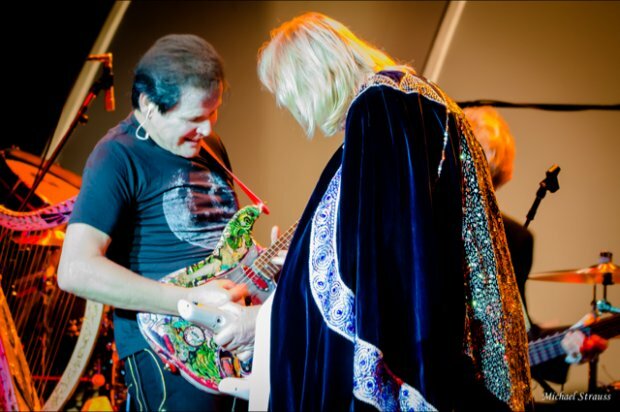 The evening featured both Wakeman-era and Rabin-era YES, with classic pieces like I’ve Seen All Good People, And You and I, Heart of the Sunrise and the epic Awaken the audience was treated to the dynamic arrangements that make up the classic sound of YES music. The contrary can be noted about the Rabin-era choices, Hold On, Rhythm of Love and Owner of a Lonely Heart. Although crowd-pleasers, Rabin lacks the delicacies that Steve Howe brought to the band and his songs leave Wakeman under-utilized. 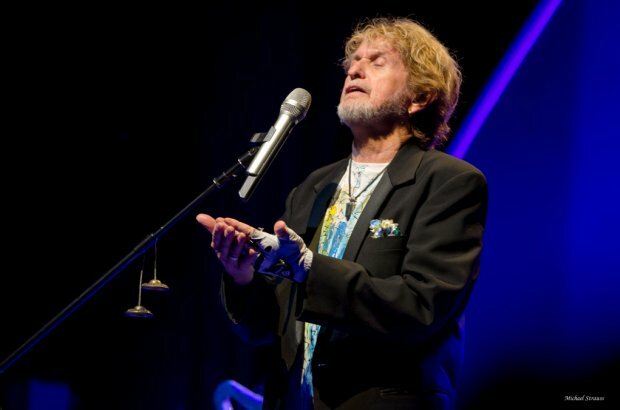 Jon Anderson remains spectacular as the vocalist and front man of the group. 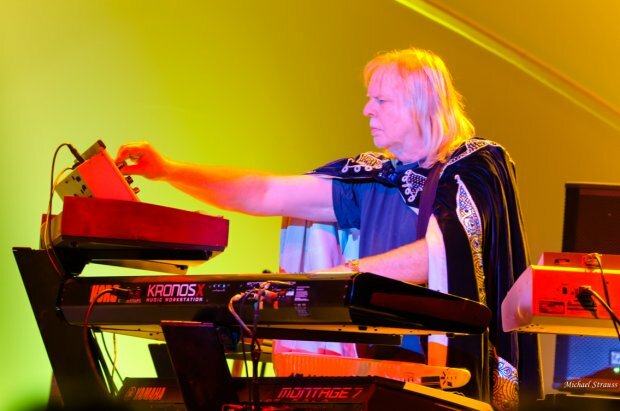 The Caped Crusader, Rick Wakeman, usually a rather jovial guy, said not a word throughout the show, relegating himself to being one of the band members rather than the star of the evening. 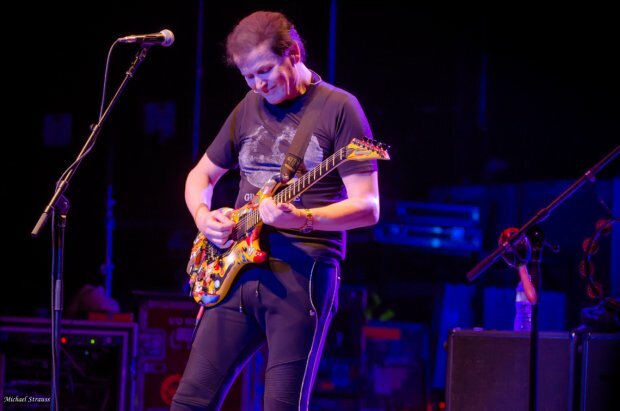 Trevor Rabin has an equal amount of stage persona to Steve Howe, which is to say, listen but don’t look! The band was complimented by Louis Molino III on drums and the effervescent Lee Pomeroy on bass. Pomeroy not only played the lines originally written by Chris Squire but added his own flavors to the mix. He was a joy on stage. 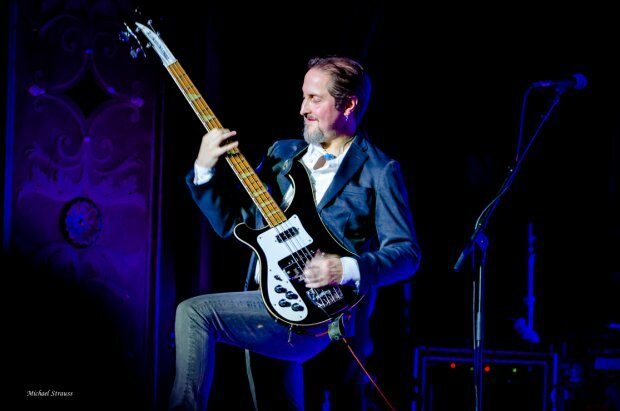 The band delivered a vast array of songs from YES’ catalogue including Lift Me Up, Changes and Roundabout with Long Distance Runaround being dedicated to the memory of Yes bassist Chris Squire. 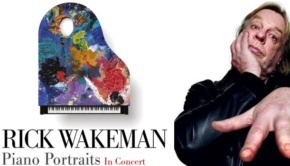 Wakeman, as he normally does, surrounded himself with over a half dozen electronic keyboards. Rabin played a bevy of guitars while Jon Anderson played acoustic guitar, shook the tambourine and even played harp on a beautiful Awaken. Again it was Lee Pomeroy who shone through, dancing on stage and highlighting his bass lines as lead melodies. The sound was clear and it appeared as though these guys had been playing together for decades. ARW is more than a band of merry men donning capes, playing a multitude of instruments, and singing songs about “Climbing clearer towards the movement and being called over valleys of endless seas”. ARW is about the people who challenged us musically and lyrically. They’re about the love and oneness that Jon sings so passionately about. They’re about timeless music still being performed by the legitimate heirs of these compositions. They’re about giving Jon Anderson, the man originally behind the idea of YES music, his rightful place in front of this YES band. They’re the musicians we should now trust to keep playing the music of YES!